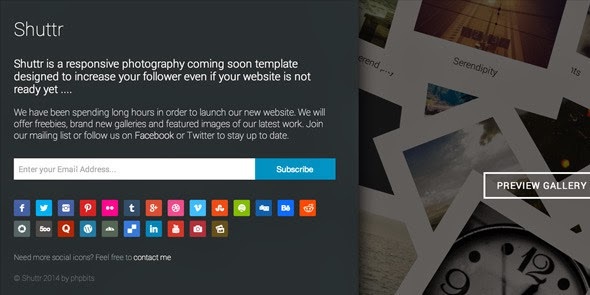 Shuttr is a responsive photography coming soon template designed to increase your follower even if your website is not ready yet. Go out of the box! Yes, you can also use shuttr for your e-commerce coming soon template and display some products, or even use it on business websites to display your portfolio and services and get opted-in client subscribers even if you are still working on your site. Item Reviewed: Photography or eCommerce Coming Soon Template 9 out of 10 based on 10 ratings. 9 user reviews.